November, and with it Autumn, has slipped away, and now we are looking ahead to Winter tasks around the garden here at Perrycroft. I have just finished putting in the last of the Autumn bulbs – this year we have surprisingly managed to find space in the borders for 400 Narcissus and Daffodil bulbs and 950 Tulips, in 18 varieties. 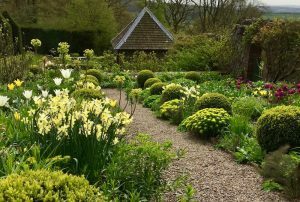 Although we always think the borders are full in Spring it is hard to resist when the bulb catalogues arrive in the quiet period at the end of August. 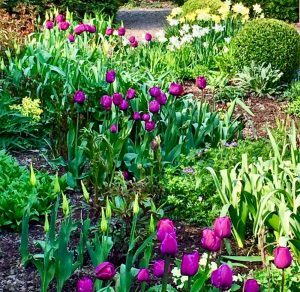 This coincides with a time of contemplation, when we take a hard look at what was not right in the garden in the preceding months, as well as of course at what was perfect! 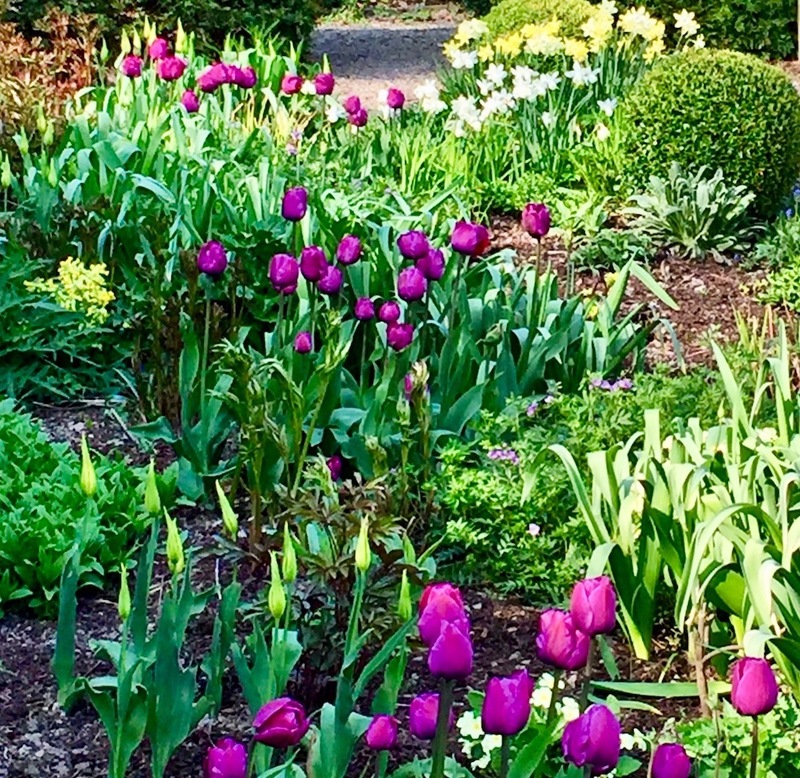 We love tulips, but two Autumns ago we took the decision to remove them from the Formal Garden borders. 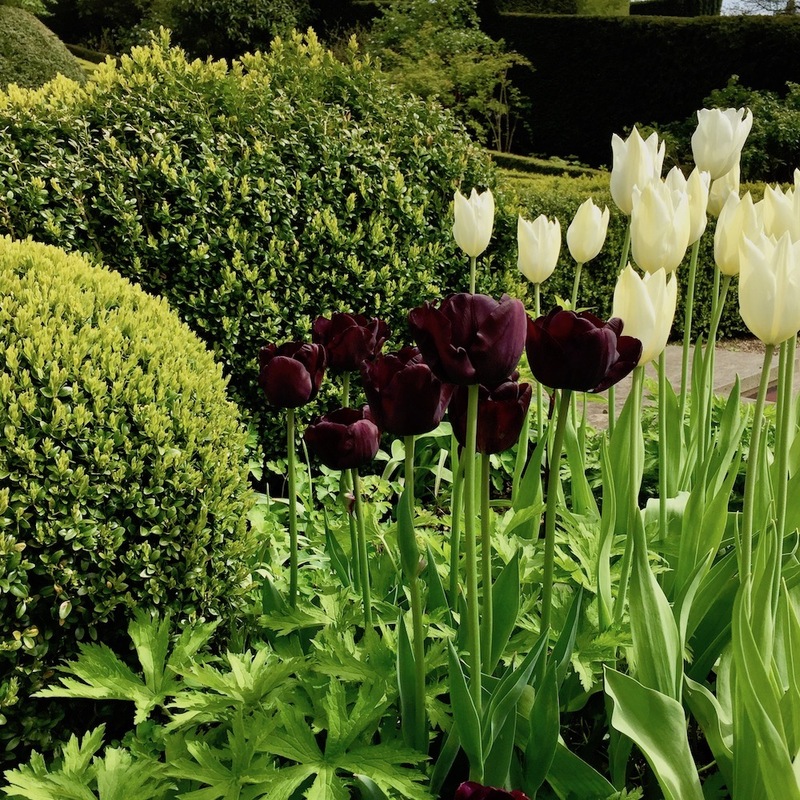 They had been a key part of the Spring planting, and I had favoured a combination of Purissima and Orange Emperor, followed by White Triumphator, Queen of the Night and Ballerina. Sadly, very sadly these succumbed to tulip fire, probably aided by our heavy clay soil which is certainly not ideal for tulips! 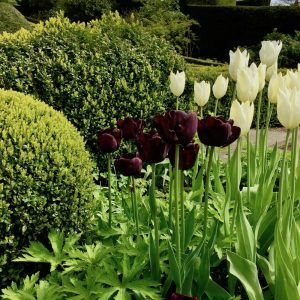 Not to be deterred we have created some new borders on the opposite side of the garden, mainly planted for late summer and autumn colour, and here we are trialling our new tulips, hoping for the best. Meanwhile, I have begun a new love affair in the Formal Garden with the Narcissus family. We have a wonderful display in the informal parts of the garden of the native daffodil, Narcissus pseudonarcissus – indeed the Malvern Hills were once well known for their display of native daffodils. Taking this as our cue we have planted many hundreds of daffodils in the borders, choosing mainly later flowing varieties which will follow on from the native bulbs. N. triandrus Thalia, N. jonquilla Pipit and N. tazetta Geranium are among our favourites, and I also have a soft spot for the pink N. jonquilla Bell Song. I have just been planting a pink triandrus narcissus, Katie Heath, and look forward with anticipation..
Daffodils have for us not only the advantage of being more suitable to our heavy stony soil, but will reward us year after year by hopefully increasing with time. Disadvantages lie in the limited colour palette and the possibly less than graceful habit of decay, but I look forward to appreciating them more and more as the reliable alternative to the tulip tribe.